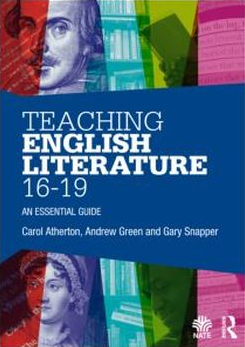 I am co-author of Teaching English Literature 16-19 (Routledge/NATE 2013) and of the course book for AQA English Literature A Level (CUP 2015). I have also published chapters on post-16 literature teaching and curriculum in several edited volumes. I am the editor of Teaching English, the professional journal of the National Association for the Teaching of English (NATE). I am a Curriculum Tutor in English at the University of Oxford Department of Education, teaching on the PGCE course and the Masters in Learning and Teaching course. 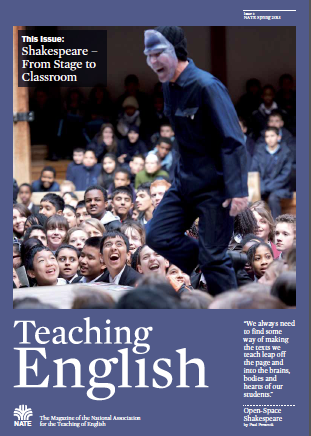 I am part of a research project into the teaching of poetry in post-16 English courses. I am a member of the Curriculum Review Committee for the International Baccalaureate Organisation in The Hague, and a consultant to A Level awarding bodies in the UK. Formerly head of English at an 11-18 comprehensive in Cambridge, I teach A Level English Literature (part time) at The Cheney School, Oxford, and IB English Literature at Oxford Study Courses. This website is primarily intended as a site for information about my work in English teaching but also performs some personal functions. In particular, it contains information about my research into my family history, and the choir I have been involved with for the last 28 years (see below). There's also some further information about me and about this website here, and some photos I've taken on my travels here. 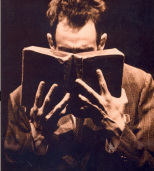 Eventually I hope to post some information about some of my enthusiasms in theatre, film, music, poetry, literature, and so on, here. I have been researching my family history for some years. From its origins in the Jewish settlements of central Europe, the family spread around the world during the 19th and 20th centuries, to Africa, Australia, America and the Middle East, as well as Britain; their stories illustrate many significant historical movements and moments of the last 200 years. (Pictured is my great-grandfather David Snapper, who was born in the East End of London). Full details of my family history may be accessed from the 'Family' page of this site, here. I am a longstanding member of the Cambridge Taverner Choir, one of the few specialist Renaissance chamber choirs in the UK. The choir, which Owen Rees and I founded in 1986, has been performing this repertoire for over 25 years, and has recorded several acclaimed CDs. We have given regular concerts in Cambridge and Winchester, and performed in festivals and venues around the UK and in Europe. Full details of the history and activities of the Cambridge Taverner Choir may be accessed from the 'Choral' page of this site, here.